The New Pioneers has made no. 21 on the University of Cambridge’s “Top 40 Sustainability Books of 2010” alongside books by authors such as Al Gore, Muhammad Yunus and Joseph E. Stiglitz. “We selected those books which we believe are most relevant for today’s leaders,” explains Wayne Visser, Senior Associate at the University of Cambridge Programme for Sustainability Leadership and author of the newly published book “The Age of Responsibility”. During her 2012 Asia book promotion tour of The New Pioneers, social business expert Tania Ellis was interviewed by Channel NewsAsia about conducting business with a heart. Channel NewsAsia is a Singapore-based TV news channel. Since 1999, they have reported on global developments with an Asian perspective. The channel is viewed in 24 territories across Asia. (7 min.). Browse more cases and references to get inspiration for your own conferences, events and more. Want to make sure that your business is up-to-speed? 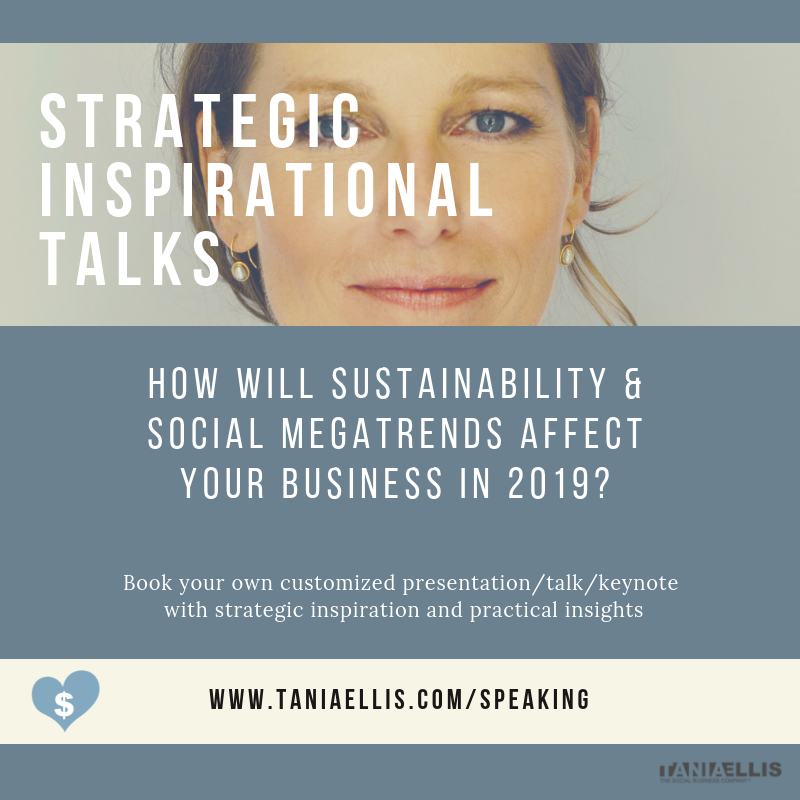 Book Tania Ellis as a moderator or speaker, if you want fresh, insightful and inspiring perspectives on emerging trends, latest research and cutting-edge practices from the field of responsible, sustainable and social business. As one of Scandinavia’s leading social business experts and front-runners, Tania Ellis has over the years continuously set the agenda by identifying new trends and business practices built on values of ethics, responsibility, sustainability and meaning. Tania Ellis’s expertise and hands-on involvement in blending economic and social value with business strategy and innovation has made her a popular inspirational speaker for companies and organizations, who want to make sure that their business strategy, employee engagement efforts, customer programmes or new products and services are aligned with emerging global social business trends. Over the years, Tania Ellis has spoken for hundreds of companies, trade unions NGOs, educational institutions, ministries and think tanks, and her messages of social and economic value creation have reached thousands of participants ranging from opinion-formers, business leaders, politicians and cabinet ministers to employees, activists, students and social entrepreneurs. Her internationally acclaimed book, The New Pioneers – Sustainable business success through social innovation and social entrepreneurship (Wiley 2010) has been praised as a ”handbook for the global revolution”, and has cemented Tania Ellis’s status as a global trendspotter and thought leader, giving her Scandinavian-based activities a global outreach with a growing international audience from both the old and new economies. Tania’s presentations are characterized by energy, authenticity, interaction and clear communication. Whether sharing her message with social entrepreneurs or global executives, she always ensures her audience an inspiring and engaging experience that can pave the way for innovative and sustainable business actions. Book Tania Ellis, if you want insightful and entertaining presentations packed with “ahhs” and “ahas”. All speaking themes build on trends and business practices based on the values of ethics, responsibility, sustainability and meaning. 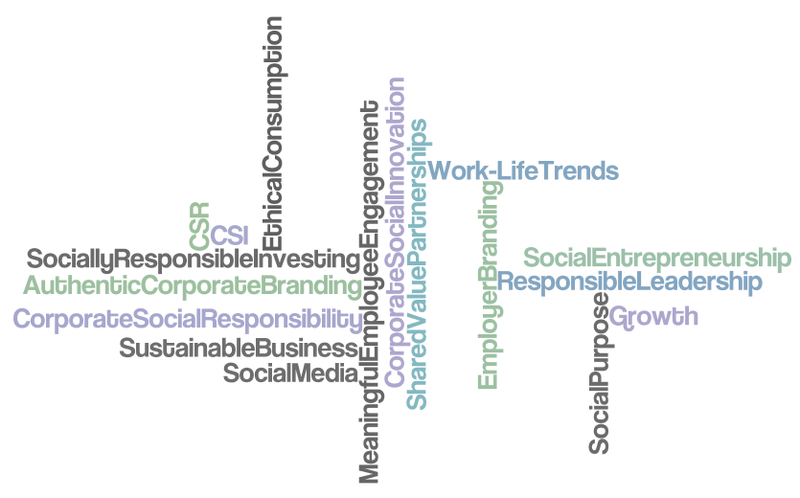 Covered themes include responsible leadership and work-life issues; authentic corporate branding; meaningful employee engagement; social media and social purpose; sustainable business and growth; corporate social responsibility (CSR); corporate social innovation (CSI); shared value partnerships; ethical consumption; socially responsible investing (SRI); and social entrepreneurship. See more details in the speaking category menus to the left. Tania’s speaking sessions are usually from 15 minutes to 1,5 hours and always interactive, so the audience is engaged throughout the presentation. Format and content can be adapted subject to agreement and tailored to specific company needs. If you need a longer session or a more focused and customized format, check out our Trend Workshops, Intro-Sessions, How-To Masterclasses and other exclusive consulting and training services. Presentations are also available in a webinar/video conference format. Tania Ellis travels from Copenhagen. The combination of her social business expertise, many years of key note speaking as well as over a decade of people management experience makes Tania Ellis a professional and engaging moderator at conferences and other large assemblies. You can also benefit from involving her in the pre-planning stages of your event, so you make sure that it is designed in the most effective way. We work together with specialized speaker bureaus, so that we can give you an extensive, regional service. We have partners specialized in Asia Pacific, Denmark, Norway and the International markets, so if you have any questions or inquiries, please don’t hesitate to contact them or us. Read more about our partners here or contact us directly here.